Charlotte Marie is one pugnacious dog: she will start a fight over the smallest thing. One day an unlucky salesman came to the house where this pugnacious, combative dog lives. It’s a good thing she’s small, because she tore right out of the house and pugnaciously bit him on both ankles, barking and biting wildly. Her owner wishes the pugnacious Charlotte Marie wasn’t so ready to fight, although it does come in handy when unwanted visitors come to the door. Quiz: Try again! What is a pugnacious way of acting? In an aggressive, hot-tempered way. In an irrational, little understood way. Vicious Pug The pugnacious pug was so vicious it would bite everyone it met. 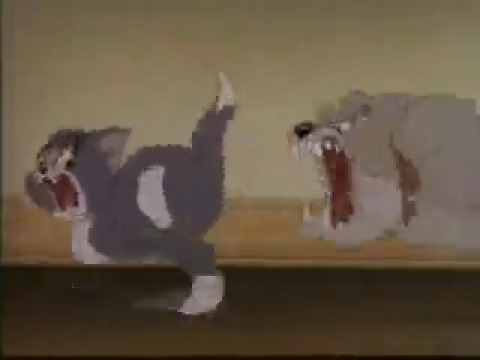 Tom and Jerry A pugnacious dog is after the cat again.